Prestige Casino is designed to pass on the majestic and prestigious experience of a land based casino. It features over 70 free games, stunning graphics, and superb music that contribute to an overall exciting gaming experience! As you enter this casino, one immediately feels the exclusivity and sophistication of Monte Carlo's playground for the rich and famous! Maximum security and integrity are our top priority. You will find our casino system among the most secure and advanced on the Net. Prestige Casino's highly trained staff constantly watch out for any players who set out to abuse the fun of casino gambling, whether it is fraud or underage gamblers. Prestige Casino software is developed and maintained by PlayTech Cyprus, a leading online gaming software company, with special experience from the Brick and Mortar casino world. We don't just create the software and leave it to run itself. To ensure the software's number generation process is fair, our software is regularly tested and approved by leading accounting firms. Get 100% Sign Up Bonus FREE ! Prestige Casino offers several methods of paying Cash Outs/In. The fastest and most convenient methods are by crediting your NETelller, Instacash, Moneybookers, Click2Pay, Central Coin, EcoCard, InstaDebit, or Firepay accounts, or by sending a Bank Draft Express. Other withdrawal methods include: Wire Transfer (direct bank account transfer), Bank Draft (cashier's check). Please note that due to new Visa and Master Card regulations, we can no longer issue credits for previous MasterCard and Visa deposits. 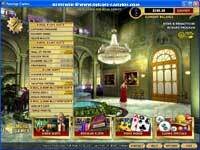 Games at Prestige Casino are navigated to via the casino lobby where the games are listed via a menu system. The Prestige lobby itself is very attractive with high quality music playing in the background as a player chooses the game they want to play. As Blackjack is the most popular game playable in a casino, I decided to check out what the Prestige Blackjack was like. Although there is only one form of Blackjack available (apart from the ‘ live games ’ , more of which comes later! ), players do have the option of choosing table betting limits - from $1 to $100 for the low-rollers and then from $5-$300 for the bigger bettors. These table limits are fine for the small bettors, although some players may want more from the higher end betting ranges. Video Poker is another favourite of mine and Prestige has a reasonable selection of games - favourites such as Jacks or Better and Deuces Wild can be found with many games having multi-hand varieties. The actual game play I experienced was similar to that experienced when playing the table games at Prestige - good graphics are used and are accompanied with subtle sound effects. One nice feature I discovered when playing the Prestige Video Poker is that a player can gamble all, half or none of their winnings on a higher or lower card game. At other casinos I have found you risk all or nothing, so it was good fun to bank half a win and then gamble the rest. Download Prestige Casino Software, NOW!